Local New York photographer Nikki Graziano really captured my attention with her photographic series Found Functions. It portrays the unseen relationship between nature and the mathematical blueprint that defines its form. 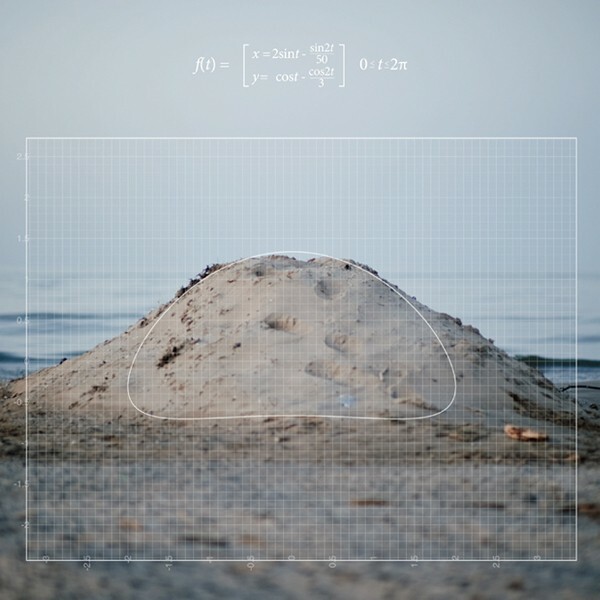 Nikki, a photographer and Rochester Institute of Technology Alumni, minoring in mathematics, devised graphs of equations that match the visible characteristics of the subjects chosen for her pictures. Nikki's talents and passion in photography and mathematics enable her to see beyond the typical compositional associations one might make, deep into the hidden and ever-present mathematical forms that surround us.
" I was driving after a calculus class and just started seeing in tree lines all the curves I had just spent 3 hours drawing in my notes." Her instance of inspiration for the series reminds of an archetypal film scene, where a free spirited character is driving down an open road, with their arm out the window gently oscillating up and down against the wind, leaving the invisible etching of a sine wave behind them. Nikki's has more galleries on her website, including a compelling set of portraiture which, much like a math problem, takes on a static yet dynamic form with the urge for interpretation.